Nursing and Midwifery Council makes changes to its English language requirements for overseas nurses joining its register in the wake of staffing pressures. The Nursing and Midwifery Council has announced that overseas nurses will have an extra chance to pass English language tests. Nurses and midwives who have trained overseas and within the European economic area must achieve a score of 7 or above in reading, writing, speaking and listening tests under the International English Language Testing System (IELTS) to be eligible to join the NMC register and work in the UK. Candidates previously had to score at least 7 in all 4 tests in one sitting. But some NHS employers said that was too difficult, and was hampering the recruitment of overseas nurses to fill staff shortages. NMC chief executive Jackie Smith says she is 'mindful of the staffing pressures in the health service'. The NMC now says that candidates must get a score of 7 or above in all 4 components, but can now do this over 2 sittings in a 6-month period. However, no single score can be below 6.5 in any of the areas during both tests. The NMC says this will give applicants more flexibility, while ensuring the required standard of English language is achieved. 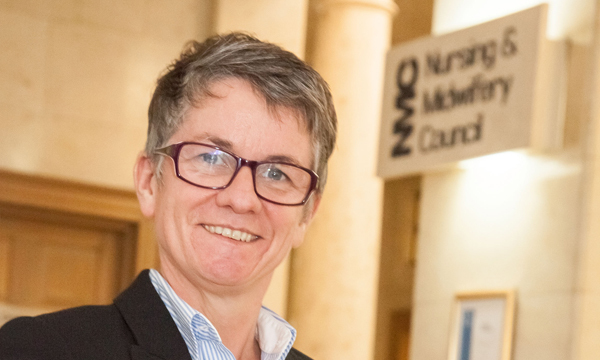 NMC chief executive Jackie Smith said: ‘We are mindful of the staffing pressures in the health service and, after listening to feedback from stakeholders, we have introduced changes to our process. Royal Wolverhampton Hospitals NHS Trust chief nurse Cheryl Etches welcomed the move. More than 100 candidates recruited by her trust from the Philippines have taken the IELTS tests since last December, but less than 5 have passed so far, according to Ms Etches. ‘This is a move in the right direction,’ she said. But East and North Hertfordshire NHS Trust director of workforce and organisational development Thomas Simons said the changes were a ‘missed opportunity’. Mr Simons previously wrote to the NMC with concerns about the system and made suggestions on tailoring it to make it easier to recruit from abroad, including lowering the pass mark to 6.5. He said a ‘genuine step forward’ would have been to allow nurses who achieve scores of 6.5 in any of the tests to start work in the UK and then have 6 months to reach level 7 with the support of their employer.